Adding tears is the mainstay of treatment, using lubricant eyedrops and gels. 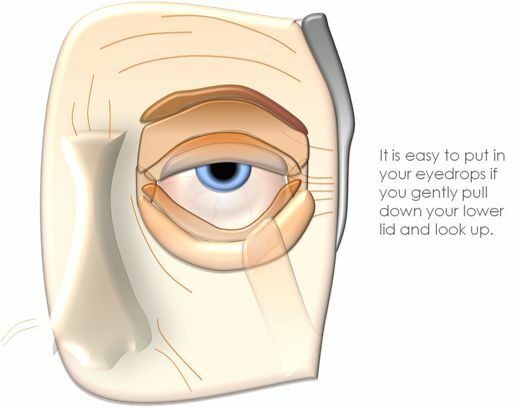 Mild dry eyes can be treated with over the counter artificial tear solutions to lubricate the eyes. Preservative-free eye drops are recommended. Your oculoplastic surgeon can advise on the specific type and name of drops to use depending on the findings on examination. There is a wide range of artificial tears available and it is a good idea to try several and see what suits best. Eye drops can be put in as often as every 15 -30 minutes if required if they do not contain preservatives, or as little as twice a day in a mild dry-eye, depending on patient symptoms. Eye ointment can be used but this blurs the vision for a few minutes after. 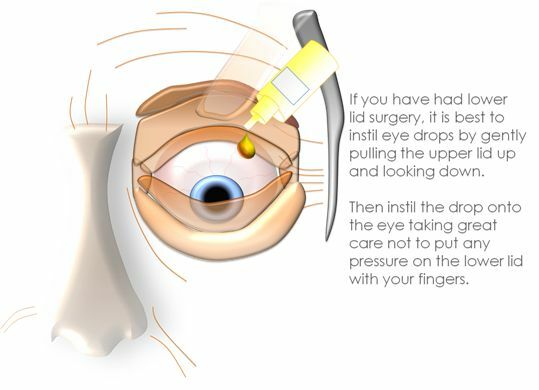 The tear ducts can be blocked with tiny silicone plugs that can be removed if needed, or dissolvable gel plugs. Normally the tears drain via an upper and lower punctum at the corner of the eyelids nearest to the nose, into the drainage ducts and into the back of the nose. Silicone punctal plugs can be put in under local anaesthesia, usually just requiring anaesthetic eye drops. The punctum has to be gently dilated and then the plug slipped in. Occasionally a small injection of local anaesthesia is needed to enable the plug to go in, and so the surgery is done in a minor operating theatre.